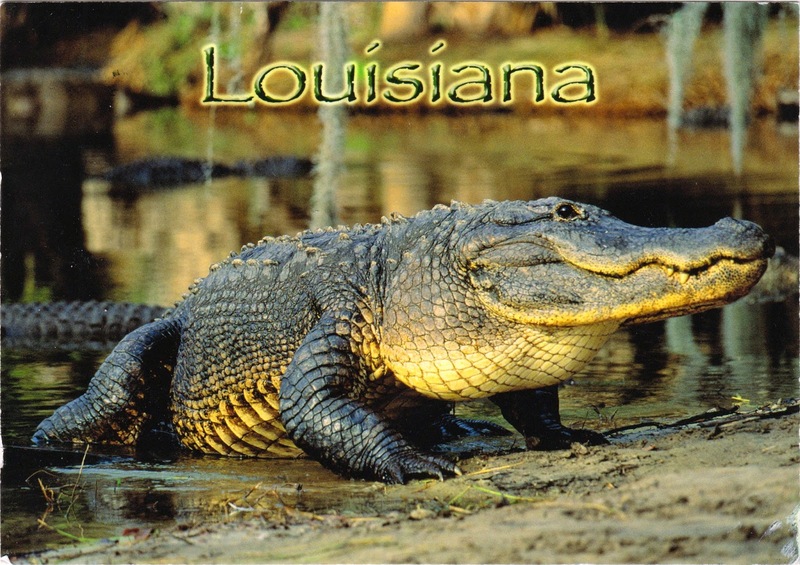 Postcard US-2749105 from Louisiana shows an American alligator, Louisiana state reptile designated in 1983. Louisiana boasts 15 alligator bayous alone. In the early 1960s, Louisiana alligators were almost extinct. However, after years of conservation efforts, its status has upgraded to "Least Concern". Florida also adopted the American alligator as its state reptile in 1987.